Frontline border area is Indonesia with the international community, but in dealing with various issues, the district / city on the border, been impressed fend for themselves.Development of border areas also received less attention and is not to be an integral.Images of the area as is the case in the district of Aru Islands, Maluku province with eight outer islands that are geographically close to Australia.Eight pieces of the outer islands is Ararkula, Karaweira, Penambulai, Kultubai North, South Kultubai, Reef, ENU and Stone Shake. 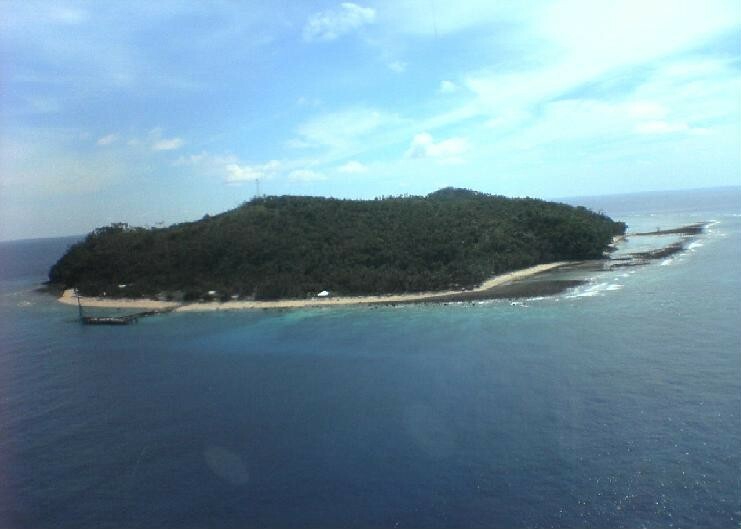 These islands have the potential of natural resources such as marine biodiversity and marine fisheries, oil and gas, tourism, plantations and kehuatan economically valuable.Unfortunately, less synergistic development programs, both of ministries / agencies as well as provincial and local government Maluku Islands sunber Aru so potential natural (sda) is not optimal management faced with various limitations especially basic infrastructure affecting poverty.No less crucial is the vulnerability of the stability of the sovereignty of the Republic and rampant illegal practices such as fishing, oil and Forestry. That prompted consideration of the State Ministry of Rural Development (PDT) held a coordination meeting to Accelerate Development of the Border Region (P2DP) in Dobo, the local district capital on 29 March to 1 April 2011.No half-hearted by 28 representatives of ministries and agencies, the mission of the Maluku provincial government and work units (SKPD) Aru Islands regency is involved in coordination meetings opened Deputy Resource Development Ministry of PDT, Jamaluddien Malik representing the Minister Helmy Faisal Zaini.Malik Jamaluddien Ministry of PDT serious to handle the outer islands are located in the border region with other countries such as Indonesia districts Aru Islands to Australia. "So take advantage of the presence of 28 representatives optimal cross-sectoral strategic plan development frontier Aru Islands which belong to one of the 27 districts border with priority programs," he said.Aru Islands also include underdeveloped districts targeted the Ministry of PDT treatment to be addressed in the period from 2010 to 2014. "There are currently 183 districts disadvantaged areas have been programmed in 2014 successfully treated 50 regional cross-cutting," he said.Vice Regent Aru Islands, Umar Djabumona strategic welcomed Rakor P2DP because the district has eight outer islands immediately adjacent to Australia that have the potential of living marine resources abundance and economic value. "Unfortunately the wealth of living marine resources, agriculture and forestry has not worked optimally to improve the welfare of local inhabitants 83,636 so still has 65,555 poor households," he said.Therefore, the Vice Regent Aru Islands Rakor motivate participants to be instituted in order to optimize strategic program development in this area with financial support from the central government. "I hope the Aru Islands could miss allocation of more funding from the district Alor (NTT), which also held a coordination meeting P2DP in some time ago with the allocated budget in 2011, valued at Rp231 billion," he said. Chairman of committee meetings held P2DP, Arens Uniplaitta said activities aimed to identify and motivate local governments to build the border as the front porch Homeland and encourage the growth of the economy in border areas in order to improve welfare.In addition, organizing and integrating programs and strategic plan development along the border areas related sectors along the border and to build a front porch State.Visit the outlying villagesParticipants Rakor P2DP visited outlying villages namely Warabal Village, South Central Aru district, Maluku province, on Thursday (31/3).Deputy Special Regional Development Ministry of Accelerated Regions (PDT), Andjar Koentjoro leader visit.Travelling from Dobo, Aru Islands Capital along 107 miles, to the village of Warabal taken within five hours of the services belonging Peprov KM.Siwalima Maluku.Waves with a height of three to four feet with rain and high winds resulted in most of the group of 28 Ministries / Institutions seasickness, but still motivated to visit the Village Warabal Penambulai Island as one of the eight outer islands adjacent to Australia.Rakor attendance accompanied P2DP executing task (PLT) Aru Islands Regent, Umar Djabumona and local Bappeda Chairman, Arens Uniplaitta villagers greeted sukacira Warabal.Camat Aru South Central, Wiro Fautngilyanan said P2DP strategic coordination meeting attendance to voice the problems in the outlying areas rich in natural resources, especially fish.District of South Central Aru is a barn fish, just be marketing depends on the arrival of the vessel so that the catch of fishermen gathering here often discarded due to decay, he said.The fishermen there requires refrigerated storage of fish ("cold storage") and the application of the technology used to optimize the production because it is difficult to sell to Dobo travel time to reach seven to eight hours.Participants are expected to pay attention Rakor P2DP problems in the border areas are also difficult communications, transportation, illiteracy rate is relatively high, requiring medical personnel, medical and education facilities and infrastructure, including teachers, says Head.Acting regent Aru Islands, Djabumona People want government attention to this area because of the distance to the island Penambulai Australian waters are relatively close so often visited by the neighboring country.So did seven other outlying islands such as Eno and Coral Island which is a marine attractions that draw serious concern about the safety of the porch leading Homeland.These meetings and visits are expected P2DP representatives of 28 ministries / institutions return to Jakarta in the preparation of Budget 2011 and Budget 2012 changes and could further provide greater budget allocation to the Aru Islands are rich in natural resources, especially marine biodiversity, but has not managed to improve the welfare optimal people, said Umar.He admits 83,636 inhabitants Aru islands scattered in 117 villages and two urban villages appeared to have 65,555 households.There should be a cross-cutting program implemented in the Aru Islands so that optimal management of natural resources and certainly contributed to the improvement and development of the people kesejahrteraan, said Umar Djabumona.Deputy Special Regional Development Ministry of PDT, Andjar Koentjoro, promised to report the results of the visit to the village of Warabal and facilitate ministries / institutions to pay attention to other areas such as the outer Aru Islands. "In the voyage of Dobo, I witnessed how the area is rich in potential fish that fishermen from other regions in the country and abroad to operate here, hence the need to cross-cutting program that gets local residents to manage natural resources for the welfare of the citizens," he said.He suggested representatives from the Ministries / Agencies may note the problems in the outermost regions in the Aru Islands in order to give serious attention to this area in addressing the basic needs of society. 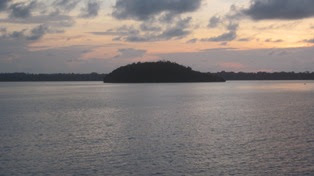 "They are the children of the nation to be aware of the difficulty of the approach is largely marine territory and population spread over 547 islands, so you can imagine berbagaimana difficulty of transportation, communication and facilitation," said Andjar Koentjoro.To enhance the competitiveness of the border, the Ministry of PDT and non-ministerial agencies to allocate funds development of border areas Aru Islands in 2011 amounted to Rp138, 85 billion, in 2012 amounted to Rp165, 15 billion, in 2013 valued at Rp47, 18 billion and 2014 a number of Rp35, 60 billion . "The program and budget plan at any - time can be changed by not ignoring the basic needs of a number of accelerated development of the outer islands of the Aru Islands," said Arens Uniplaitta.